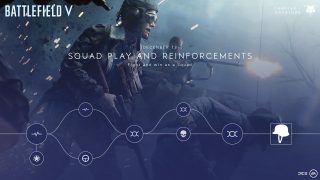 What to expect from the first weeks and the future of your evolving Battlefield V.
Tides of War has reached Battlefield™ V. The first chapter – Chapter 1: Overture – is here, kicking off an evolving battlefield where all kinds of new experiences are coming your way. 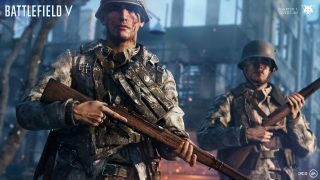 In this post, we’ll answer questions on your progression through Tides of War; what it will mean to you, and what unique challenges and rewards it enables. Available to all Battlefield V players, Tides of War will let you continue your Battlefield V journey through seasonal events. 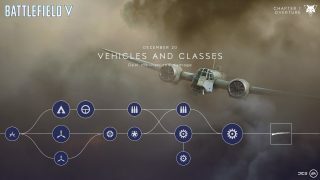 Tides of War consists of multi-week Chapters, each with its own unique theme and gameplay possibilities. 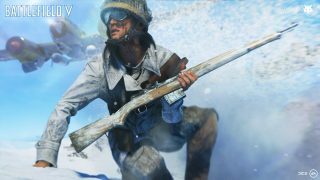 A new Chapter can also bring new battlefields, challenges, modes, weapons, progression options, and more to your Battlefield V experience. What challenges do the Chapters contain? There will be weekly Chapter Events in each Chapter. As visualized in the image above, these can be described as themed challenge trees where you choose the path, picking in-game challenges. The Chapter Event during the first week of Chapter 1 revolves around Attrition and Fortifications, for instance. You’ll be rewarded with things like weapons or visual customization items at the end of each tree. Do the Chapters come with more Assignments? What is Chapter XP and Chapter Rank – and how do I earn it? As you play Battlefield V during a Tides of War Chapter, you earn XP which works towards a unique Chapter Rank. Each time you level up your Chapter Rank, you’ll be rewarded. Hit the battlefield regularly during each Chapter and you may reach its coveted maximum Chapter Rank. Do I earn Chapter XP from playing things that aren’t part of the Chapter? Yes, everything that you do that normally generates XP in Battlefield V multiplayer works towards your Chapter Rank. For example, a regular game of Team Deathmatch that’s not tied to Tides of War will help you climb the Chapter Ranks. However, the most effective way is by completing the weekly challenges which will net you a big chunk of Chapter XP. What rewards do I get from climbing the Chapter Ranks? 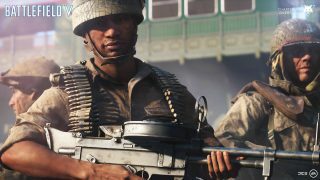 For each Chapter Rank-up, you’ll unlock rewards like imposing soldier outfits, stunning weapon skins, dashing Dog Tags, challenging Special Assignments, and other items, some unique to the Chapter. What if I miss out on a Chapter Event reward, will I be able to get that in some other way? When you complete the final challenge in the Chapter Event, you will earn the reward for that week and be able to use it immediately in your next round. And yes, gameplay content released this way will also be obtainable by other playable means for everyone after the week has ended. What Chapter Events will be part of Chapter 1: Overture? 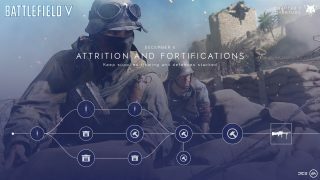 Attrition and Fortifications (Dec. 6 – Dec. 12): Ammo and medical supplies are not unlimited in Battlefield V. Resupply yourself and your team in a challenge tree where you choose the path. Earn the mighty VGO medium machine gun for the Support Class in this one. Get tips on how to complete Attrition and Fortifications. Squad Play and Reinforcements (Dec. 13 – Dec. 19): Stay close to your squad mates this week. Assist them with kills, revives, and enemy spotting in a series of challenges. Your reward? The Axis Ratburner Helmet. 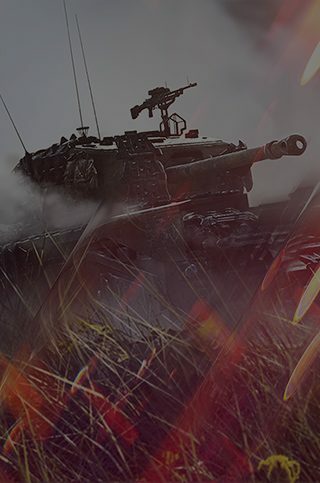 Vehicles and Classes (Dec. 20 – Dec. 26): Master your tanks, planes, and other vehicles in this one. To complete the chained challenges, you can also choose to take on class-related anti-vehicle tasks. Complete the Chapter Event, and you’ll be able to equip your Recon soldiers with the Selbstlader 1906 self-loading rifle. 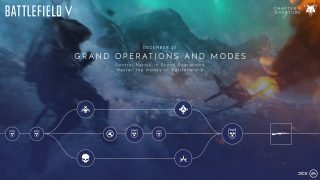 Grand Operations and Modes (Dec. 27 – Jan 5): Chapter 1: Overture ends with a focus on Grand Operations. Paradrop down into this vast multiplayer experience and complete unique challenges. You’ll make your Assault class happy with the final reward: an AG m/42 semi-automatic rifle. What are the chapter-specific Assignments during Chapter 1: Overture? Below are the four Assignments you’ll be able to tackle in Chapter 1. Jump into Battlefield V to see exact requirements for each task. Get a headshot over a certain number of meters. Score a set number of points of explosive damage. Build a set number of stationary weapons. Revive a set number of teammates in one life as Medic. Get a set number of headshots in one life. Get a set number of kills while bipod is deployed in one life. Get a set number of melee kills. Get a set number of kills under 40m. Get a set number of kills over 40m. Win a Grand Operation (Norway). Win a Grand Operation (Netherlands). Win a Grand Operation (France). Win a Grand Operation (North Africa). What are the Chapter rewards in Chapter 1: Overture? Below you’ll find all rank-up rewards for Chapter 1. Make it all the way to rank 20 for a stunning Soldier Set and, of course, exclusive bragging rights. Enjoy Chapter 1: Overture – and all the upcoming Tides of War Chapters. You have a lot to look forward to. See you on the ever-evolving battlefield. Enter mankind’s greatest conflict now with the Battlefield™ V Deluxe Edition or Standard Edition on Xbox One, PlayStation®4, and PC. Or try it first for 10 hours with EA Access or Origin Access Basic*.